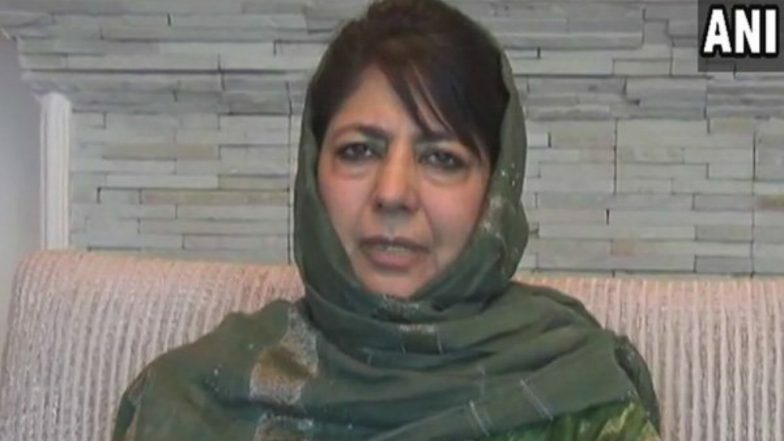 Srinagar, April 15: Former Jammu and Kashmir Chief Minister Mehbooba Mufti's cavalcade was attacked on Monday by stone-pelters in Anantnag district. Police sources said the Peoples Democratic Party (PDP) leader was returning after paying obeisance at a dargah in Khiram village when some people stoned the cavalcade which was on way to Bijbehara town in Anantnag district. Mehbooba Mufti Convoy Attacked in Jammu And Kashmir's Anantnag.